Welcome to the Second Annual Pristine Awards, where I pick the best “must eat” foods of the year based on what I have reviewed in 2016. As opposed to last year I will be changing up the format a bit to help keep this short and sweet. If a category is underrepresented in my reviews this year (Eg. if I ate a food item/category last year and not this year, or there were no new options), then they will not be mentioned here (for last year’s winners, click this link). The Pretzel Burger takes it for the second year in a row, the Cobblestone’s offering put up a great fight, but Westchester Burger Co. has seriously perfected this amazing burger. I mention former winner and runner up because of the immense respect I have for the now closed down Luca Bella and their Vodka Sauce pizza, that being said this was hands down the best specialty pizza I had this year, nothing else comes close. The combination of french fries, bacon, ranch, chives, and two kinds of cheese is fantastic, and is a whole lot better than should be allowed. What else can I say about these ribs that I haven’t already said? As I wrote in my review, “Smothered in sauce, these ribs are near perfection. The BBQ sauce is sweet, with a semi hot (but not overpowering) cider spice.” Can’t beat it. Our second two-time winner, this Duck Confit remains the best bird I have ever had, and the most steak like bird I’ve seen. Believe it or not, the runner up race was harder to pick than the winner! There were a lot of good choices this year, but the cheese(cake) stands alone. To be honest, if Luca Bella were still around, there would be no contest; Sal’s is great, but Luca Bella was something else. That being said, Sal’s has become the best Penne Vodka in Westchester County, and is deserving of this victory for sure. Truly the best lamb I’ve ever tasted; from the rich red tenderness of the meat, to the succulent bone and citrus infused panko crust, this is a meal to behold…and then devour. Still one of the most amazingly flavored appetizers out there, I’ve been longing for it ever since I first tried it. While it is not readily available on the menu (it is seasonal), it is still the top appetizer around. You can’t go wrong with a prime cut of steak that is served on a sizzling 500 degree plate. For awhile O’Malley’s was going to take home the title, but then Ruth’s Chris came back into my life during Hudson Valley Restaurant Week; and I’m so glad she did. I know I’ve said this a lot, but this is simply the best New England Clam Chowder I’ve tried. The roasted tomato soup was great, but the “chowdah”at O’Malley’s is simply amazing. Another two-time winner and with good reason, this is one of the most unique sandwiches out there. 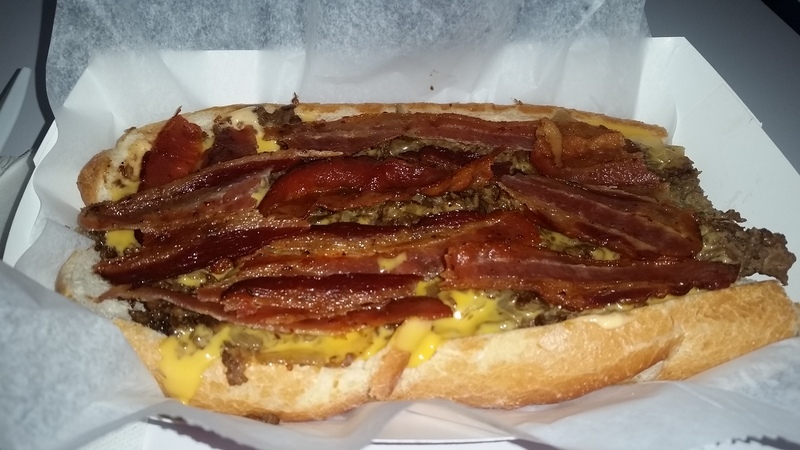 Take your traditional Philly and add bacon and secret sauce to it nd you have a Phive All Day. Wonderful. Another two time winner that is totally unique; doughy, sweet, and full of Garlic. This is a great side to pizza and even a great dish to bring home by itself. Truly deserving. That’s it for the Second Annual Pristine Awards, thanks so much for reading and I hope to see you back in the New Year! Tighe’s Tavern in White Plains is a nice little bar/restaurant that serves one good Philly Cheesesteak. 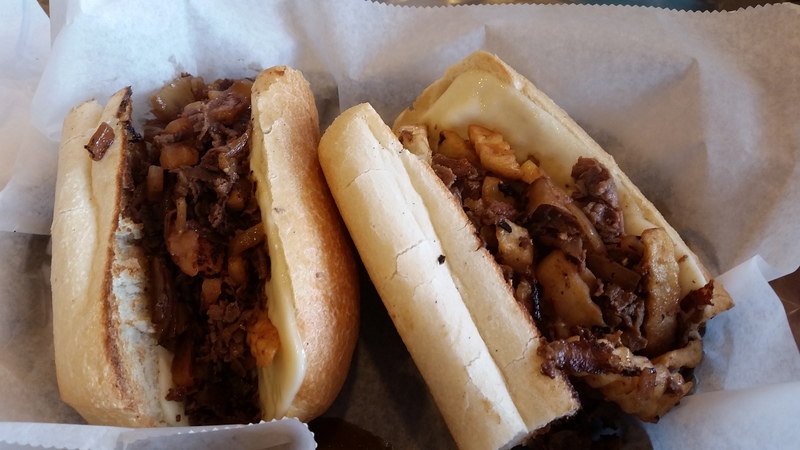 Held together by soft, delicious bread, this Cheesesteak utilizes meat in such a way to make it unique. There is a definite fatty element to the meat, as if you were eating an actual steak. This wasn’t unwelcome at all, as it added an extra flavor component to the meat itself. I can honestly say I’ve never had a Philly where I can taste fat in the meat, so this was a nice surprise. The melted cheese was nice and sweet, the onions, crunchy, and the green peppers were perfect. All together, every ingredient of this sandwich worked very well together and provides another good option for anyone craving a good Philly. Tighe’s makes good food and is in an easily accessible location (downtown White Plains), so there is really no excuse to not visit; so I hope you do, soon. I have to admit that I have been looking forward to reviewing this sandwich ever since I was introduced to it in a Daym Drops video; and now I’m finally able to. The Phive All Day is an amazing sandwich. Crafted after Daym Drops’ slogan “Five All Day Son!”, it contains “five ounces of rib eye, five pieces of bacon, five pieces of American cheese, onions, McNabb sauce (house made 1000 Island Dressing) and a little bit of (cheese) whiz.” So, what does this monster sandwich look like? Look at the way that bacon shines, and the way the melted cheese oozes on to and grips the bread, as well as filling every nook, cranny, and crevice of the meat; its a beautiful sight to behold. The five ounces of rib eye were rich, delicious, and made even better by the rest of the ingredients. The bacon was how all bacon should be; crispy, salty, and all over the place. The melted cheese, both American and Whiz, was creamy and smooth; they penetrated all aspects of the sandwich like a warm blanket of velvety goodness. The fried onions provided a sweet little crunch, and their McNabb sauce stood out with it’s wonderful flavor, and joined the cheese in permeating every inch of the sandwich (plus as a Redskins fan I do have somewhat of an affinity for Mr. McNabb, no matter how his tenure in D.C. turned out). Encasing these ingredients is a wonderfully soft selection of bread, joining together all these wonderful flavors that meld so perfectly. This just so happens to be a messy meal as well, so be prepared to have your hands covered in finger-licking goodness. 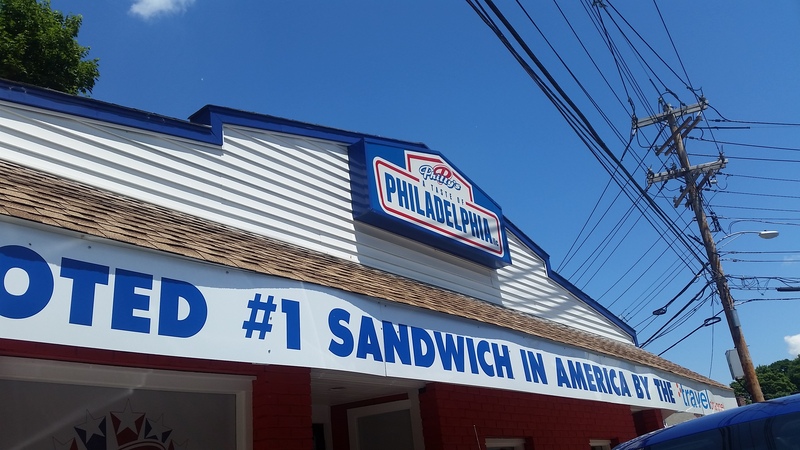 This sandwich is one of the best I’ve ever tasted, and so much credit must be given to Daym Drops and the Boys down at Philly’s; great job guys, I can’t wait to come back, and I hope everyone else does too. 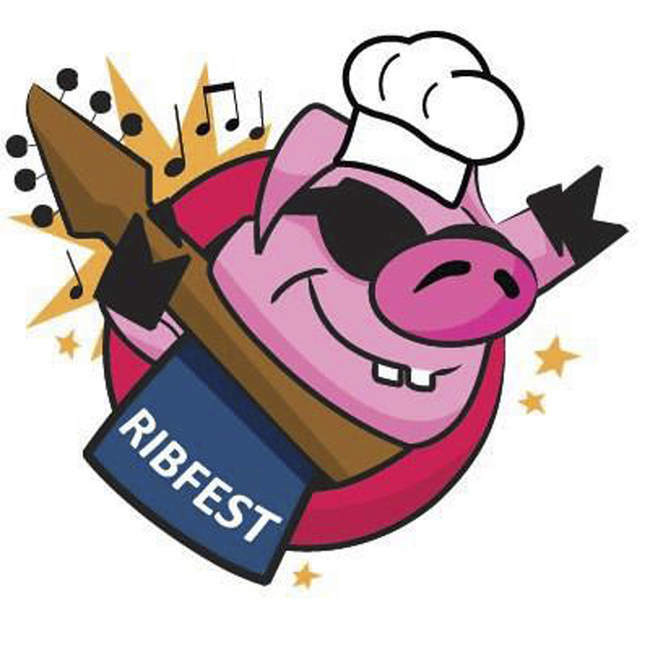 Day two of New England week brings us the rest (non-rib portion) of New Hampshire’s awesome Ribfest; we already know that the festival serves up some pretty darn good ribs, but what about some of their other BBQ concoctions? 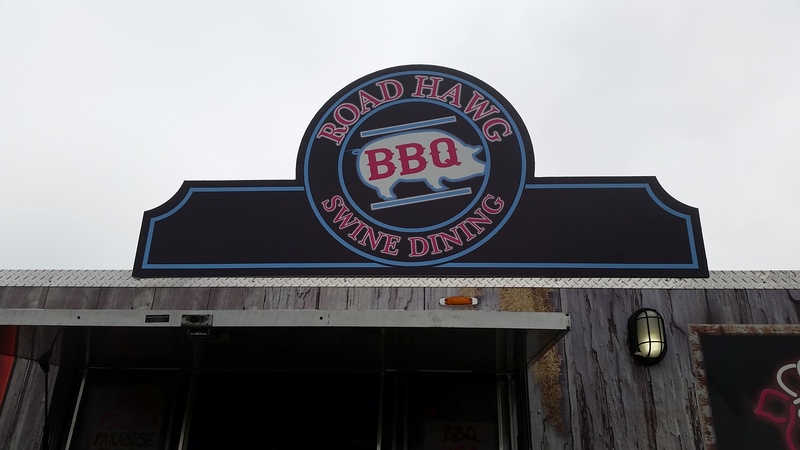 This review will deal mainly with Pulled Pork; in my opinion, Pulled Pork is one of the big hit or misses in BBQ as not only does the pork need to be tender and finely shredded, but the choice of sauce has to be absolutely right (a part where many places just don’t succeed). 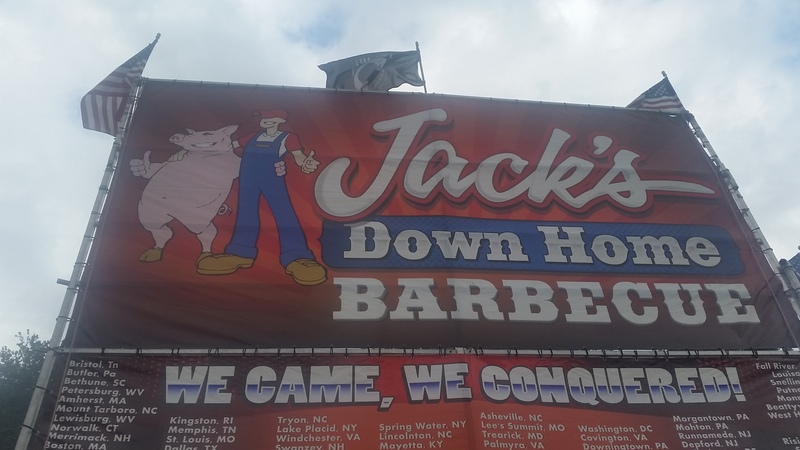 My first experience with Jack’s was when I was offered a sample on my way to buy a rack of ribs from Texas Smokehouse; that first bite made me go and order a whole sandwich from Jack’s later in the day, because it only took me one bite to know I had found a winner. 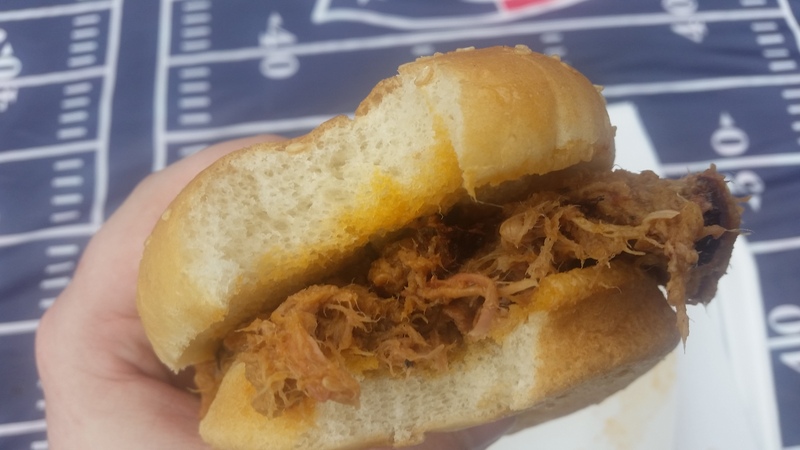 Jack’s Pulled Pork is tender and slightly juicy, with a really good chew to it; the soft bun absorbs some of the flavor, making the bun better as a result. All of that is good and needed, but the BBQ sauce is what really caught my attention and put the sandwich over the top. The sauce was perfectly spicy, not too much, but not too little; and the spice was the perfect hot edition to the sweet flavored sauce. I did not get a chance to try Gator’s Pulled Pork Sandwich (something I plan on doing next year as I heard it was really good), but out of the Pulled Pork I did try, Jack’s was simply the best and a must eat for all Ribfest attendees and Pulled Pork lovers. 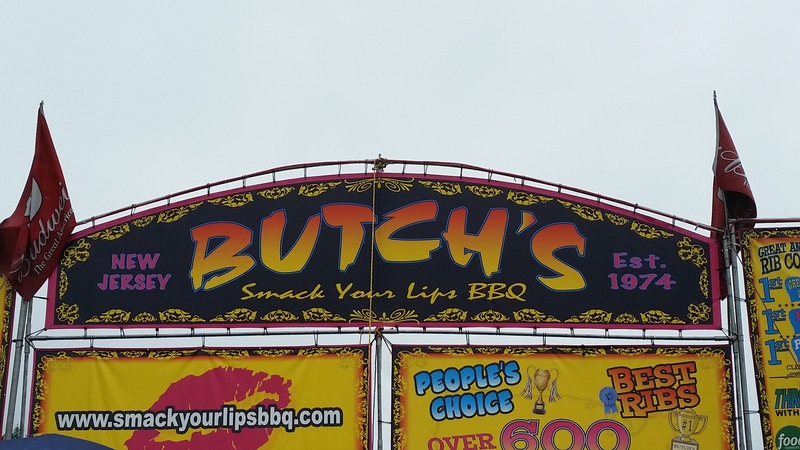 This is the part of the review that shakes things up a bit, as it introduces Butch’s Lip Smacker; a combination Pulled Pork, Brisket, and Coleslaw sandwich. This is one big, messy sandwich that lives up to its name; it is second only to Jack’s in regards to Pulled Pork and is unique in its own way due to its choice combination. Most of what I said about Jack’s pork can be said about Butch’s as well, minus the sauce (hence why it is second to Jack’s). 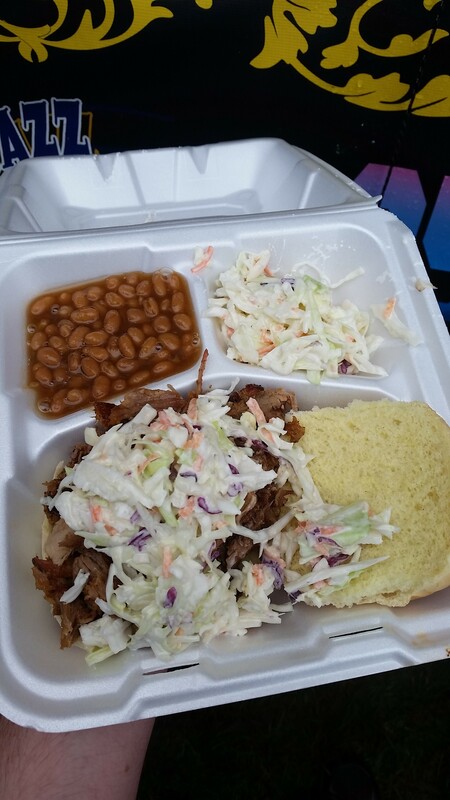 Butch’s Brisket was tender, juicy, and melts in your mouth; the contrasting flavors and textures of the Pork and Brisket melded well together, and the added cool crunch of the coleslaw finishes off the sandwich nicely. With this many flavors and textures gracing your taste-buds at once, the Lip Smacker from Butch’s should not be passed up. They call this the Ripper for good reason; the hot dog had a very good rip to it, something that is hard to find with most hot dogs. 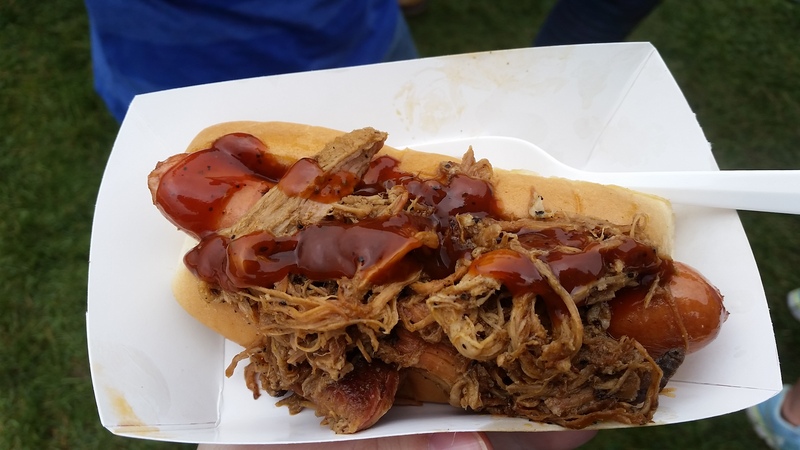 The pork itself was not Jack’s level, but was still of really good quality and made for a nice edition to the dog; and when you take into account the good amount of thick, ketchup based sauce that was included, the Ripper makes for a really fun, satisfying snack. 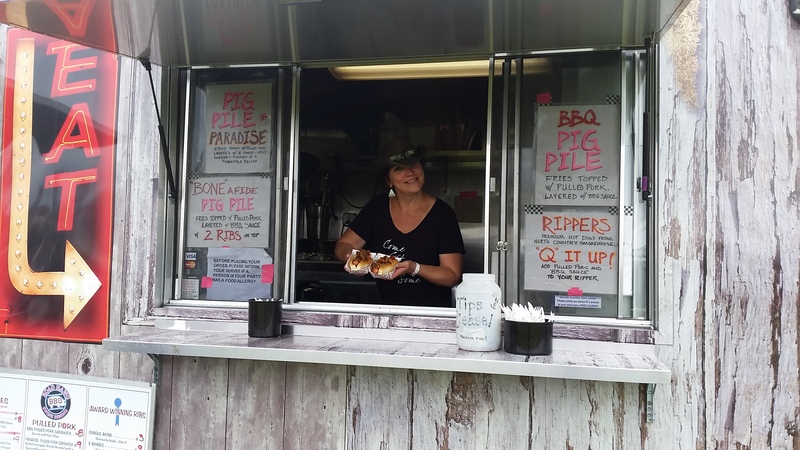 Ribfest has a lot more to offer than just ribs, and proved to me that they know how to make other delicious meats as well; I hope everyone is able to try and enjoy these sandwiches and meaty combinations in the years to come. Bliss Dairy Bar and Grill in Mahopac NY has a very fun quality to them, as they have chosen to give a bunch of their sandwiches and burgers unique and humorous names; and when I saw a classic hot sandwich designated “The Chooch” (an Italian slang word/insult), I just knew I had to try it. As in all truly good hot sandwiches, the bread was soft, but with a slight crisp to it; the meat was tender and juicy, the mozzarella cheese was moist and had a good elasticity. The sandwich also contained a good amount of sautéed onions to add crunch to it; but there was one thing in this sandwich that provided a standout element; the french fries. The inclusion of the french fries into “The Chooch” really turns this into a legitimate meat and potatoes sandwich; while eating you are noticing all the traditional hot sandwich flavors and then are suddenly hit with a soft and familiar change of taste. The semi salty potato flavor/texture along with the meat, cheese, and onion flavors/textures make for a nice combination and twist on an already good culinary concoction. In Putnam and looking for a good sandwich? Are you thinking about hitting Subway? Don’t be a Chooch, order one instead! 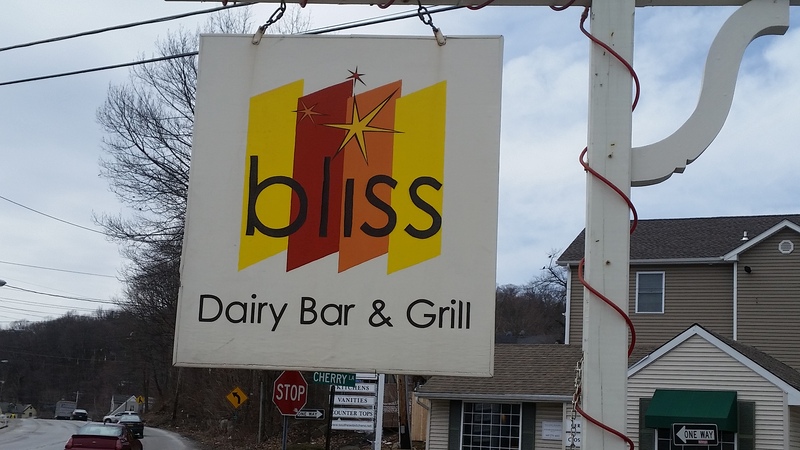 Bliss Dairy Bar and Grill is located at 4 Cherry Lane in Mahopac NY.